Avinash Kaushik famed web analytics expert was at Google's Chicago office where he snapped a picture of a Google logo on the wall of the 7th floor. 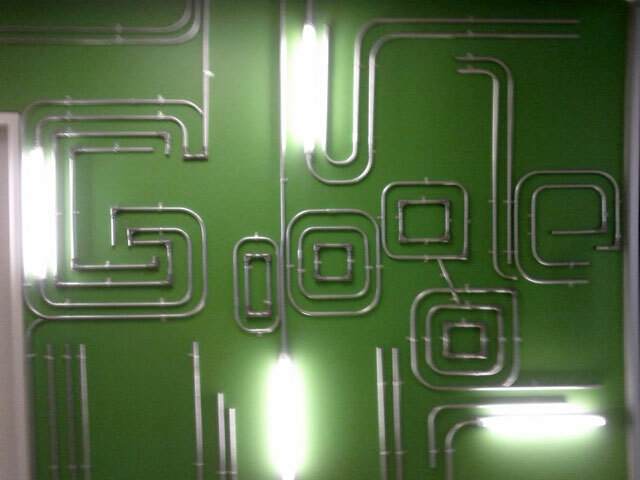 This logo is made up of piping on a green wall. It is pretty neat so he decided to share it on Google+.